My Global Entry membership was up for renewal and I went through the process last week. These are a few things I learned. One of the first things I noticed is that you can no longer login with your GOES userid and password. You are prompted to create a login.gov account instead. 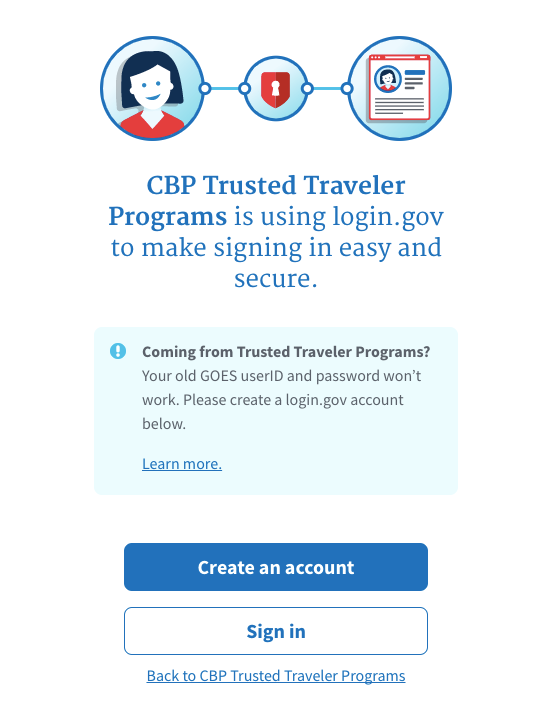 During the account creation process, you can link the login.gov account to your Global Entry PASSID. Once the accounts are linked, you will be able to review and update your existing information. Fortunately, most sections are pre-filled from the previous application. 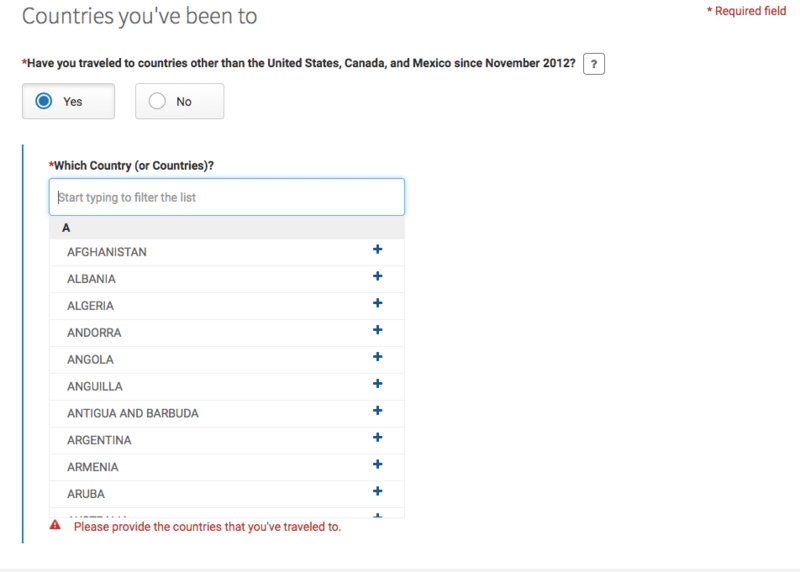 The section that took the longest for me was the “countries you’ve been to” (since 5 years ago). I don’t keep a running list of the countries I had traveled to. When I thought I was done, I realized that my visits to the UK and Switzerland were also within the last 5 years. I ended up having to comb through old emails for past itineraries to make sure I didn’t miss anything else. After you update your information, you will need to verify and certify the application, and submit the $100 USD renewal payment. You are done at this point. You just need to wait for notification of status, and for instructions on whether you need to go in for an in-person interview. 1. How Early Can You Renew? You can renew your membership a year before the expiration date (which is set to your birthday). For example, if your birthday is Dec 1 and your membership is due to expire Dec 1, 2018, you can renew as early as after your birthday in 2017. A renewal extends the membership 5-years from the date of expiration (not from the time of application). This means that there is no harm in renewing early. You will see a message indicating when you are eligible to renew in your account, and a “renew” button if you are eligible. 2. How Long Does it Take for a Decision? For me, I applied on a Friday (an observed national holiday). I got an email notification of a change in application status the following Wednesday, or a total 3 business days. I’ve heard that an update can take a week or longer for some, so I was pleasantly surprised by the turnaround time. 3. Do You Need To Go For Another Interview? My application skipped the conditional approval status (which would require another interview) and went directly to “approval” status. No additional interview needed! 4. Do You Get a New Global Entry Card? The website didn’t indicate either way, but I don’t see any reason why I won’t get a new card. I expect to get a new ID that reflects the new expiration date. In some ways, having the card is not hugely important. As I found out when I lost my Global Entry card (What To Do If You’ve Lost Your Global Entry Card), you don’t really need to carry the physical card. The physical card is only important if you need to use the SENTRI/NEXUS lanes. Did you recently renew your Global Entry membership? How was your renewal experience? ← TSA Pre-Check or Global Entry: Which is Better? Pick-Pocket Proof Clothing: Do They Work?